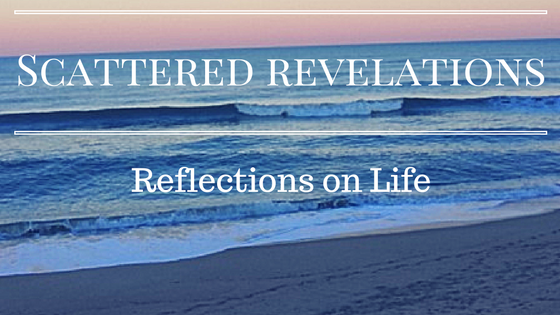 I preached this sermon on Sunday May 3, 2015 at the Unitarian Universalist Fellowship of the Peninsula. Margaret: Our story this morning comes from one of the earliest Universalist ministers. Hosea Ballou was a great writer and thinker who spread the message of Universal salvation throughout New England in the early 19th Century. Margaret: Ballou, having gone to an inland town on a speaking engagement, was put at the house of a lady who apparently believed that human beings are saved only if they are good. When Ballou arrived at her house on a Saturday afternoon, he found his hostess in the kitchen, mop in hand. Margaret: “True,” said Ballou. “You do not require it to be made clean before you will consent to mop it up. God saves people to purify them; that’s what salvation is designed for. 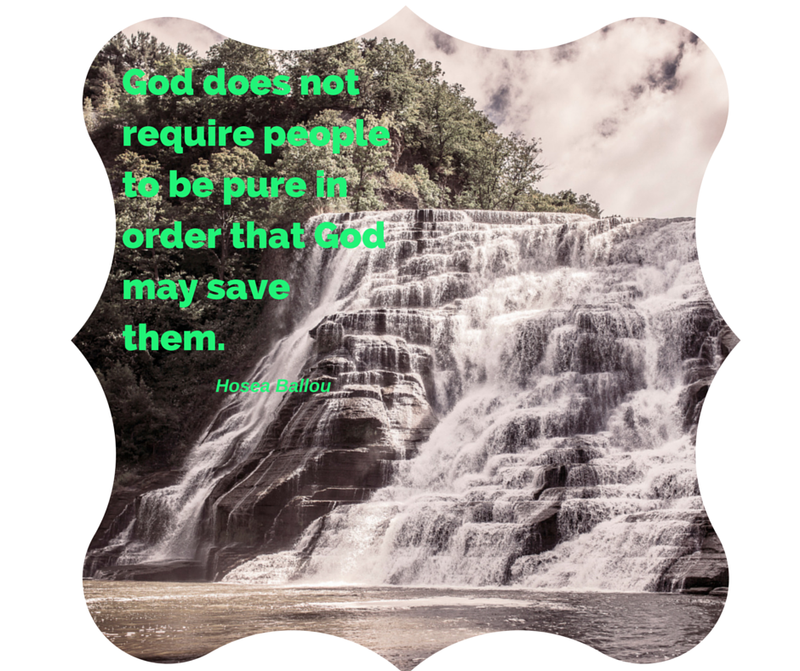 God does not require people to be pure in order that God may save them. I want to begin today by thanking you for welcoming me back here to preach. It is always a pleasure to be with you all and to see so many familiar faces. We live in a society that thrives on scarcity, the very opposite of abundance. The very premise of our advertising and media is to make sure that we are never content with what we have for then there would be no need to buy anything. Many religions also thrive on scarcity - preaching a message that one must believe only a certain way, or obey certain rules in order to be deemed worthy of the love of the holy, of salvation. It is hard when money or time or energy feels scarce, and most of us experience that kind of scarcity. At times it is difficult to believe that it is enough just the way it is. Wisdom teaches that the abundance we seek is within us and that if we can’t find what we are searching for within, then we will certainly never find it without. Easy to say and quote when things are going along well not so easy when things are not. I know that too often I prey victim to that there is never enough money, or time or energy - that all I see around me are undone tasks, and that life is just a whole series of problems. When I look at the news and there is another story of a young person of color dead at the hands of those sworn to protect and serve. When I look at another country devastated by earthquake. Another politician arrested or charged. When the US Senate votes to say that climate change is NOT caused by humans despite an abundance of scientific evidence to the contrary. Not much abundance there! So what are we to do it? How are we to appreciate what we have? To believe that who we are and what we have to offer are enough? That actually there is more than enough. Ballou preaches that God will save all people just as they are. A radical notion in the Calvinist/Puritan society in which Ballou lived, that preached that only a very few would be saved. A radical notion still in a world in which evangelical ministers stand on street corners shouting about how bad and terrible we are and that if we don’t come to believe as they believe then God will not love us, God will not save us. A radical notion in light of advertisers that say only if we have this item, this trip, buy this program can we be enough, have enough. The Universalist message is a radical one, the holy, the Divine, the sacred is not just for a few special people but for everyone. The message that God’s love is abundant – that there is more than enough for everyone - everyone without exception. An amazing notion that we are enough just as we are, what a gift, what an amazing gift. A gift so big that we almost can’t grasp it – the fact that there is enough love in this world, that the holy loves so abundantly and so without exception, that there is enough for everyone!!! There is even enough for me. The holy does not require that we embark on long arduous self-improvement projects, spend endless hours in prayer and meditation, in self-discipline and in cleaning ourselves up. All that is required is that we be ourselves, our authentic selves. That who we are and our unique gifts are all that is required and that we honor the uniqueness and authenticity of one another. The message of Universalism reminds of the story of the Mirror of Erised from the first Harry Potter book, Harry Potter and the Sorcerer's Stone. In the story, Harry discovers a mirror and when he looks within it he sees his mom and dad and family members he has never known smiling and waving back him. This mirror allows the person who gazes in it to see their deepest desire. The inscription above the mirror reads I show not your face but your heart’s desire. Harry upon discovering the mirror continues to be drawn to it...returning night after night to see the family he longs for. He even brings his best friend Ron to show him his family but Ron does not see Harry's family - he sees himself with accomplishments like Head Boy above and beyond that of his siblings. The mirror showed Harry, Ron and anyone sitting in front of it their deepest desire - an "if only." The danger of the mirror is that people had gone mad sitting in front of it thinking it was real, could it be real, if they just reached out a little further they could touch it and then maybe, just maybe it would be true. Harry only learns the truth about the mirror when Dumbledore startles him in the room one night. The desire to be a part of a happy family where he felt loved and had a sense of belonging was an understandable desire. Yet the mirror showed him his parents, who are dead, and a reality that Harry can never have. Dumbledore reminds Harry that no magic can bring back the dead. Dumbledore explains to Harry that the content person would see only themselves in the mirror; the lesson of the mirror is that when we are content within ourselves, then the mirror reflects that back to us. The problem with not finding abundance within is that we find ourselves longing for a reality that we can’t have, a reality that isn't possible. The Universalists tell us that we are good enough as we are - we don't have to wait for an "if only" to be loved and cherished by the Holy. We can think of many examples in our own lives. Maybe we believe that we would have enough if we just won the lottery and money was no longer a concern. Maybe it is a lost opportunity from the past – if we had just taken that road instead of the one we did. Maybe a person we lost touch with would have changed our lives. It is not that the desire is bad, but when the desires fills us with a sense of scarcity – a sense that our lives are incomplete, that we are incomplete, that we lose touch with that sense of abundance. When we have lost touch with our own sense of authenticity and abundance, we often lose sight of it in others as well. How are we to live in abundance? How can we more often tap into that abundance that exists within us? As I say this I also don't just mean how do "I" do it or how do "you"do it - for that plays into our culture that sees abundance and salvation as something belonging to each of as individuals - I also mean how do "we" do it. How do we as faith community thrive in abundance? How do we see our justice work as the work of lifting up, finding and restoring a sense of abundance? Well earlier I said that the Divine does not require hours of meditation and prayer, arduous spiritual practices and that is true – the message of the Universalists is that we are loved just as we are and that God’s love is abundant - given freely to all without exception. And spiritual practices that are continually arduous are probably not very conducive to cultivating one’s soul. Not that spiritual practice shouldn’t be challenging – if it weren’t challenging it wouldn’t be a practice but like with any practice, it is more likely to be a productive one if we actually WANT to do it..even when we don’t. For even with things we love – playing an instrument, writing, meditating, cooking..all require practice and we won’t always want to. Meditation, prayer, time alone, worship in community, service, all of those are practices that can lead to us learning and living into that sense of abundance. They are all ways of reaching deep within ourselves, of connecting to our true, authentic selves, to the Divine within each of us. The more we tap into that true self, the more we live out of that true self ...The more we can see our own reflection smiling back at us in mirror. Our justice work is about abudnace too. As we listen to the stories out of Baltimore this week, South Carolina before that, New York before that, Ferguson and on and on. We hear the calls for justice, we see the violence, we see parents mourning, police officers defending their actions and communities stricken with poverty. Our media shows us the despair, anger and outrage of communities long neglected, long living under harsh, austere, poverty conditions. Yet in only seeing the violence and the anger, we have missed the 10,000 marching peacefully demanding change. We miss the community organizers, clergy and others who live and work in those communities to make them better. Those do not make the front page, those stories are often quiet and not dramatic. Those who do the work of organizing, living and serving in these communities that have so long been neglected often see the abundance presence in these communities and to lift it up. Our justice work at its best sees the abundance as well as the need in another. If all we see is another’s need, and not the abundance and we only seek to fill the need, then we may close ourselves off to what gifts that person has to give. What needs that person may be able to fill. When all we see are the problems, challenges, needs in others, just like when that is all we see in ourselves – than the world becomes a place of scarcity – a place filled with problems to be solved. The Universalists did not just focus on salvation after death but were very active in social justice issues. They saw the love of God for each of them as a call to make the world a better place for everyone. Universalists such as Clarence Skinner were active in economic justice, labor issues, women's suffrage. They saw God's abundant love for all of humanity as a call to love and to make life better for all of humanity. The universalists lifted up God's abundance as a call for abundance for all of us! A message needed in so many places in our nation and our world. These communities can be written off as helpless, hopeless and beyond our capacity to repair. Yet when we see the gifts - the resilience, the courage, the hope that IS present than we can begin to see these communities as places of possiblity, of abundance waiting to be uncovered. An example of this is the teenager and baby recently found in the wreckage in Nepal. Found alive, abundance covered by debris and despair. When we see ourselves filled with abundance, it becomes easier to see the abundance in places even where on the surface there does not appear to be much. Living in Abundance means holding on to those moments in our lives when we have experienced it – like in our meditation today. Living in abundance means living and serving in relationship with others and sharing a message of our colllective abundance even while all the evidence is to the contrary. For too many scarcity is a tool to hold on to things and beliefs and withhold them from others. The media, our world, adverstisers, politicians will prey on our sense of scarcity, count on it to keep us in fear and to keep us separated. Living in abundance is remembering that our deepest needs and desires can never be filled by external things. It is remembering that the content person looks into the Mirror of Erised sees oneself as they are and knows that it is enough. Abundance means not requiring the floor to be clean before we will consent to mop it - we mop it knowing the abundance exists under the dirt and debris. Abundance knows that there is enough not just for me, not just for my family, my community, my nation but there is enough for all of us if only we are willing to see and uncover it.